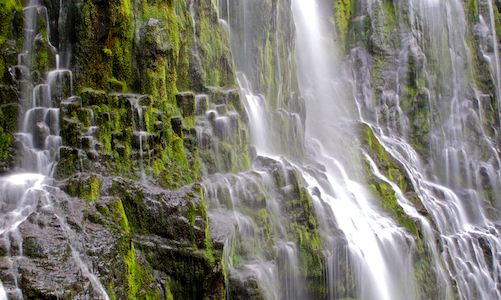 The Proxy Falls Hike is located west of McKenzie Pass, on Oregon’2 Highway 242. 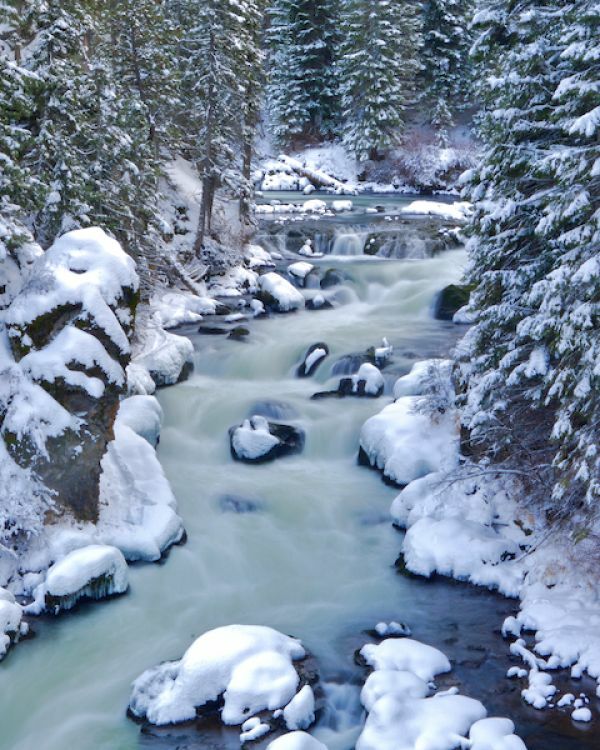 The drive to Proxy Falls from our dear city of Bend is an event in an of itself. 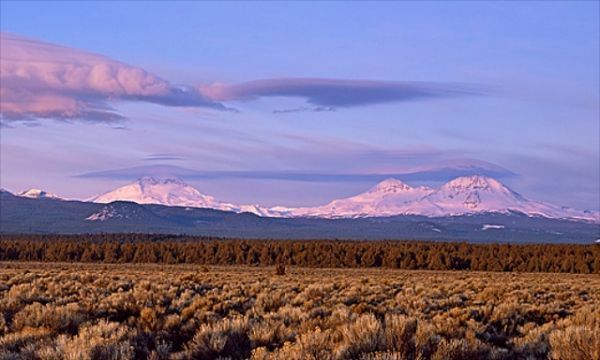 The rise through ponderosa forests near the city of Sisters, climaxing at the the volcanic summit of McKenzie Pass and the Dee Wright Observatory is at worst, sublime. The Proxy Falls Hike commences at an obvious pullout, off of highway 242( on the left side of the road if you are coming from the city of Sisters). Their are toilets near the trailhead which is obviously marked. 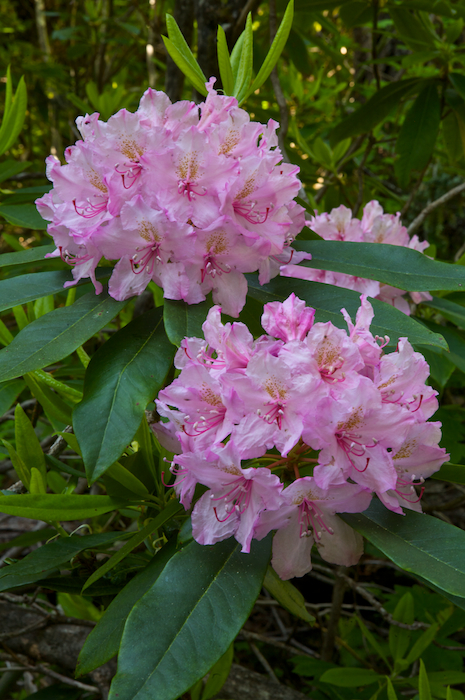 The Proxy Falls Trail quickly enters into the Three Sisters Wilderness Area and in spring, after the snow gates on 242 open, the hike is decorated with Rhododendron blooms like the ones seen below. Hiking the trail counter clockwise, takes one through a moss covered lava flow. 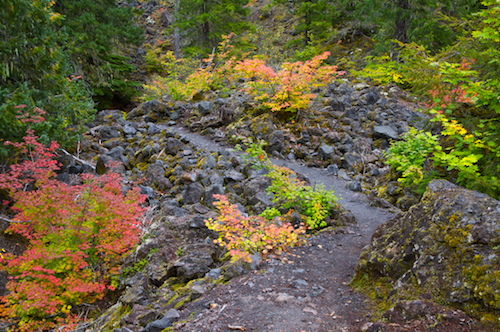 In more open areas of the lava flow, direct sunlight turns vine maple trees vibrant colors in autumn. After about 3/4 mile the proxy trail enters into an impressive old growth forest, filled with enormous Douglas Fir and ancient cedar trees. A fork in the trail leads off to Lower Proxy Falls. 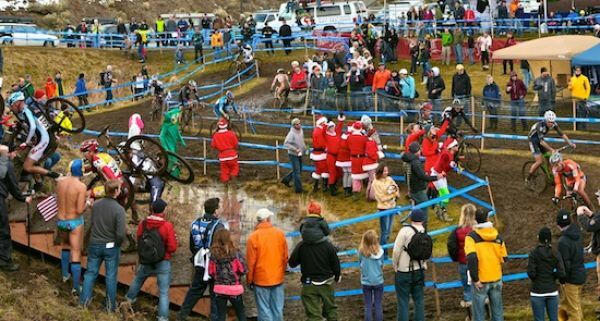 Take this fork! Lower Proxy Falls is the larger and more stunning of the two waterfalls on this short 2 mile hike. Once your begin hearing Proxy’s roar, you are close to the waterfall viewpoint seen below. This spot offers a view of almost all 226 ft of Proxy Falls’ vertical drop as well as some stunning braided flow patterns, but the best lies beyond. The trail up to this point in the hike is well maintained and suitable for hikers of almost any level. To experience the best that Proxy Falls has to offer, one must drop down to the right via a rugged, muddy and unmarked trail. This unmarked trail descends to the shores of the remarkably small Proxy Creek. From here, explore to your hearts content. 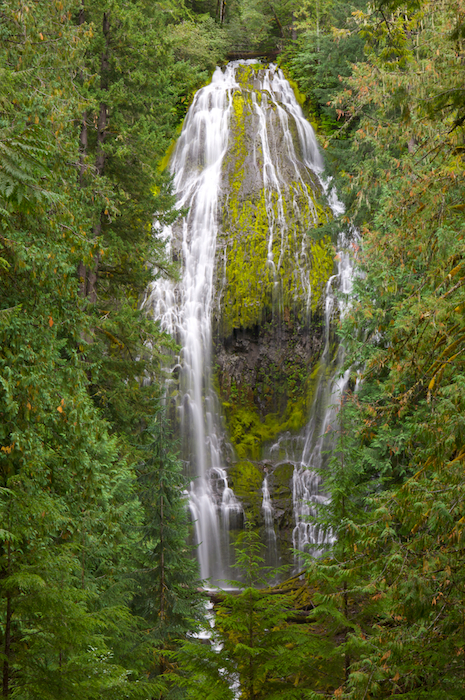 The shapes,forms and textures of Proxy Falls and its surrounding flora are simply unmatched. 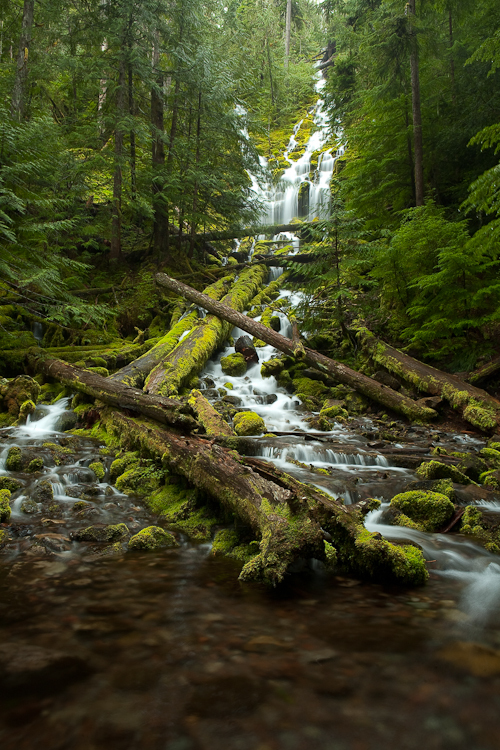 To see a beautiful photograph of Proxy Falls, visit Mike Putnam’s Fine Art site by visiting the following link. Proxy Falls Photograph. 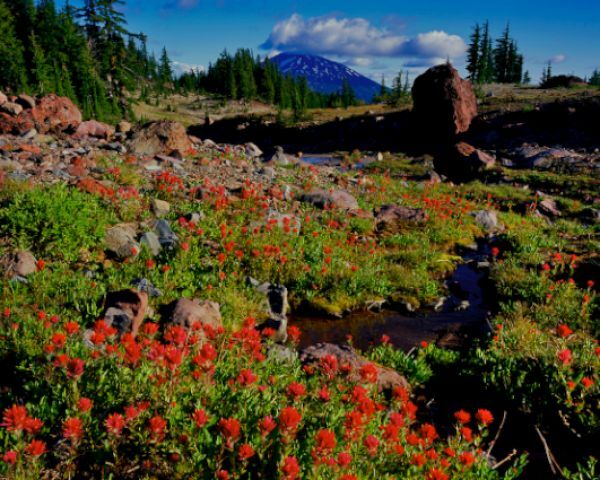 After exploring the wonders of Lower Proxy Falls, make the short trek back to the main loop trail and continue counter clockwise. The next intersection leads to the smaller yet still attractive Upper Proxy Falls, seen below. Upper Proxy falls is not as stunning as Lower Proxy but it has its own elegance and offers a very relaxing poolside picnic spot. In the heat of summer, the pool at the base of Upper Proxy is also a wonderful wading opportunity. From here, the trail back to the trail head and parking area is but a pleasant stroll. In spring time, the trail has some attractive beargrass and trillium specimens, as well as rhododendrons. 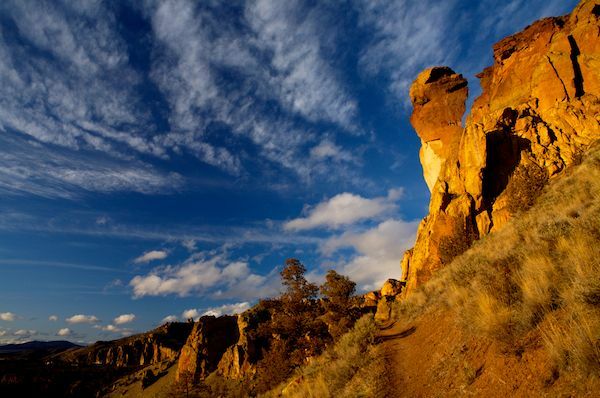 In all, this is a stunning day hike that is mostly suitable for all skill levels. 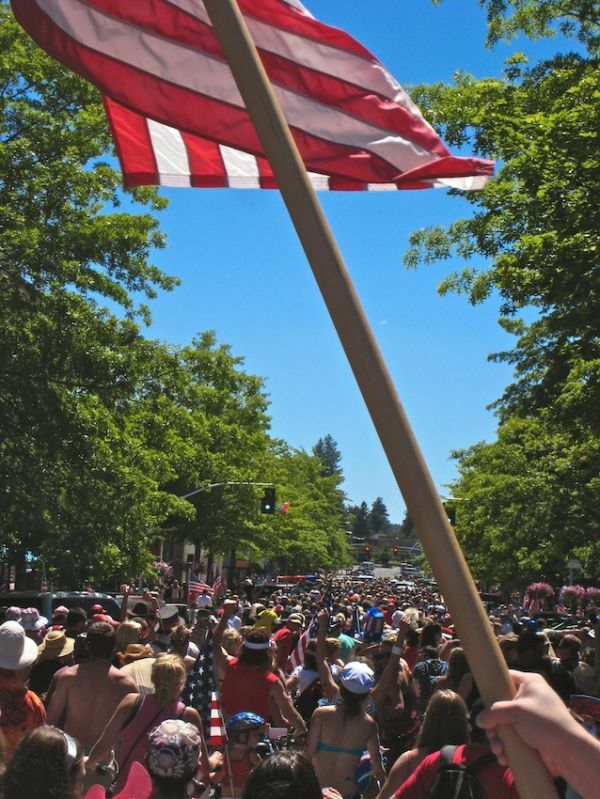 If you are returning to Bend after the hike, we recommend a stop at either the Depot Cafe, or the Three Creeks Brewery , both in the town of Sisters. If you have any questions or comments about the Proxy Falls Hike, please leave them in the comments section below. Hi there, I discovered your website by the use of Google even as looking for a similar subject, your website came up, it appears good. I’ve added to my favourites|added to bookmarks.